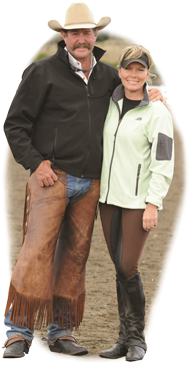 As a Spalding customer you have an exclusive opportunity to ride (virtually) with Pat and Linda Parelli. Their new online Savvy Club goes way beyond the typical online training tools. It's a structured, step by step, month by month, learning program that will make you a more confident rider and provide the knowledge to make your horse a better partner as well. The tips and techniques Pat and Linda have distilled from a lifetime around horses are very helpful, but perhaps the most valuable is the understanding they provide of why your horse acts the way he/she does and how to get them to do what you want, with them thinking it's what they want. The Savvy Club at Bronze level normally costs $19.95 per month. The first month is free for Spalding customers and in that month you will either find this is a fabulous learning experience for you or not. It's definitely worth a look no matter what level of horsemanship you're at and you only need to put in a credit card if you want to continue your membership. Click here to go to the Savvy Club and learn more about it. To take advantage of the free 1 month trial you’ll need to add it to your Fly Predators order. It will be at the top of the optional item list after you’ve made your Fly Predator schedule. You can also take advantage of the free trial with any product order of Bye Bye Odor, Fly Traps, or Mosquito Torpedos. The “Free Parelli Savvy Club 1 month online subscription” is the first item after clicking the “Order More Stuff” button on your order confirmation page. After you complete your order expect an email from the Parelli folks with your password in about a week, sometimes less. If you have already placed an order for 2016 but didn’t add the Parelli Savvy Club Free Trial, send us an email or call and we will get that added to your order. Do you have trouble loading your horse? How about problems with biting, trouble with the farrier, rearing, or bad horse behavior in general? The Parelli App shows you how to solve the 12 most common horse issues. It even includes quizzes to help test what you’ve learned and earn achievements for increasing your knowledge. 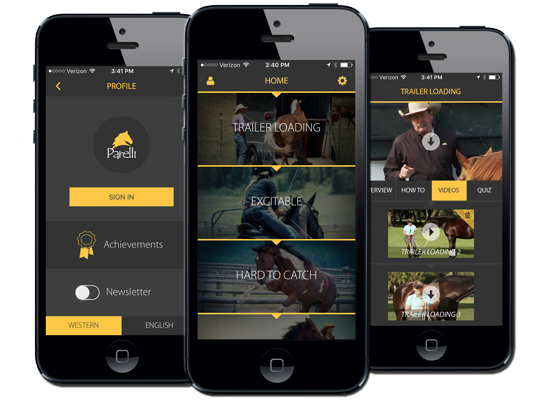 Play the video below to learn about the FREE Parelli iOS App and watch our Chief Fly Guy, Tom Spalding, speak with Pat Parelli about putting 3 decades of horse training experience 'in your pocket' with the launch of his FREE iOS app (coming soon for Android too! ).